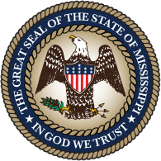 The Mississippi State Seed Testing Laboratory provides regulatory and service seed testing to the seed industry and farmers of the State of Mississippi. The Bureau of Plant Industry inspects and collects samples of seed offered for sale to determine truth-in-labeling. Seed companies and farmers may submit samples of seed for testing to obtain quality and purity levels of seed. Regulatory and service tests protect and support seed companies and farmers by providing unbiased and reliable information in a timely manner. The Mississippi State Seed Testing Laboratory also tests all seed for the Mississippi Certified Seed Program. To Register Seed Permits, Pay Renewals, and Inspection Fees online, please visit our Seed Registration Online System.